Aliante is a master-planned community located in North Las Vegas, Nevada. In 2001, American Nevada Corporation and Del Webb Corporation formed North Valley Enterprises, which purchased 1,900 acres (770 ha) of land in the city and began construction of the community a year later, with the opening held in May 2003. Mike Montandon moved to North Las Vegas in 1992, at a time when 7,500 acres (3,000 ha) of land in the city, owned by the Bureau of Land Management (BLM), was labeled for use as a future master-planned community. Montandon became the mayor of North Las Vegas in 1997, and pushed for the land to be sold as one contiguous piece. Approximately 1,900 acres (770 ha) were auctioned in May 2001. North Valley Enterprises, a joint-venture affiliate of Del Webb Corporation and American Nevada Corporation, won the auction with a $47.2-million bid, at approximately $25,000 per acre. On August 13, 2002, North Valley Enterprises announced the 1,900-acre Aliante master-planned community. The community was ultimately expected to include 7,500 homes and 20,000 residents. D. R. Horton, KB Home, Pardee Homes and Pulte, four of the top six home builders in the Las Vegas Valley, were scheduled to begin construction on the community’s first 1,750 homes in October 2002, with sales starting the following month and a grand opening set for April 2003. Most of Aliante’s neighborhoods would be priced between $130,000 and $200,000, while some larger homes, starting at 3,000 sq ft (280 m2), would sell for $270,000. The community was also to include two elementary schools and a middle school, all of which would be built by the Clark County School District. Property had also been selected for a fire station and a potential library. Aliante was zoned for 100 acres (40 ha) of commercial property, which included 40 acres (16 ha) for a hotel and casino to be located at Simmons Street and the Las Vegas Beltway. Montandon was initially against a casino being included in Aliante, but was later convinced that it was a good idea. 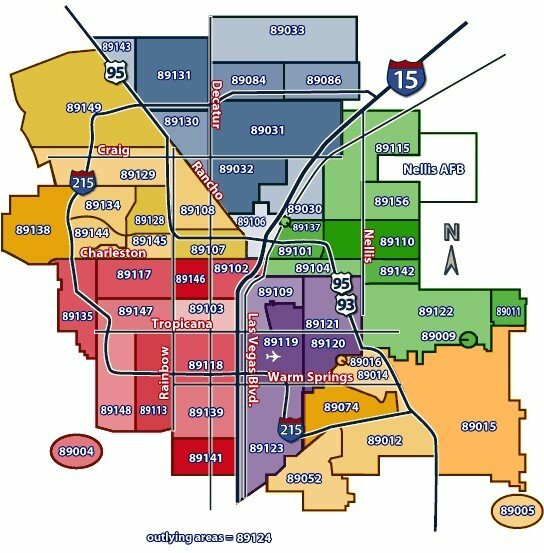 Prior to Aliante’s announcement, North Las Vegas had been considered the Las Vegas Valley’s lower-class area, with a reputation for high crime. Groundbreaking took place in August 2002. Aliante celebrated its official grand opening on May 3, 2003. At that time, Kilduff estimated that the community would take approximately five years to be entirely built out, contingent on demand. Kilduff also believed that Aliante could rival the nearby Summerlin master-planned community. Aliante’s first phase consisted of approximately 1,750 single-family detached homes, ranging from the mid-$100,000s to the upper-$200,000s. By the time of opening, the BLM was planning to auction the remaining 5,595 acres (2,264 ha) over the next several years. Montandon said that Aliante’s large number of expensive homes would help retain residents once they become financially successful, saying, “One of the problems we have is that people move out of North Las Vegas when they have a little success.” Montandon also said that for the first few years, Aliante would likely cost more money than it could generate in taxes: “Rooftops are a drain on resources, police, fire and parks. But then come the restaurants and grocery stores.” At that time, it was expected that Aliante’s casino would not be built for years. Construction began on Aliante’s first commercial office building in September 2004, with a scheduled completion date in the second quarter of 2005. At that time, Aliante’s first shopping center, anchored by a Smith’s grocery store, was set to finish construction by fall 2005. In 2004, Aliante was the sixth top-selling master-planned community in the United States. Among master-planned communities in southern Nevada, Aliante was rated number one for new home closings during the first quarter of 2005, with 355 recorded closings. Aliante later ranked number four on a list of the top five best-selling master-planned communities in 2005, but did not rank on the list for 2006. Aliante has the largest numbers of schools serving that area of the Las Vegas Valley. And being well-liked by families and children, Aliante is part of one of the largest districts in the entire country. Aliante Golf Club – Hands down, this club is the community’s centerpiece. Voted “Best New Golf Course in Las Vegas”, this 18-hole championship course was designed by critically acclaimed golf architect Gary Panks. The club proudly boasts a family-friendly atmosphere and lets kids play free everyday after 1pm. Aviary Park has 15 acres of recreational facilities including features like basketball courts, playgrounds, lighted soccer fields & baseball diamonds. Off-street parking and public restrooms are available. The Aliante Trail System – With 24 miles of developed trails, this system was masterfully designed specifically for pedestrians and bicyclists.